Use this Sea Life promotion code and save 20% on your ticket prices when purchasing online. 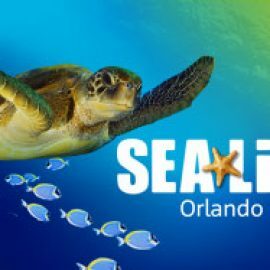 Visiting our website before purchasing your Sea Life Orlando admission tickets can save you money. Sea Life and it’s authorized ticket brokers constantly provide promotion codes, discount offers, and ticket discounts. You can also save money on Sea Life admission by taking advantage of multi-attraction passes and authorized Sea Life ticket vendors. 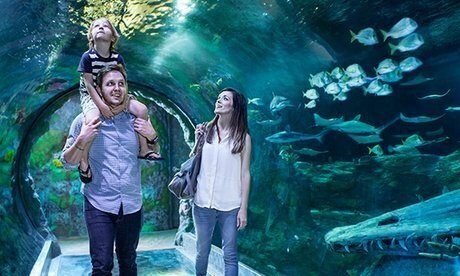 Check our website before buying your Sea Life admission tickets because we constantly update this page with the best Sea Life Orlando promotion codes and discount ticket offers. In order to find the best rates for Sea Life Orlando you must first know what the gate prices would cost you if you didn’t take advantage of one of these discount offers and paid full price at the gate. Now that you know the base gate prices you can shop these discounts and see how much you can save by taking advantage of these Sea Life Orlando promotions and discounts and purchasing your tickets online in advance. SEA LIFE Orlando will transport you into a magical underwater world filled with a dazzling array of amazing creatures! Book online & save up to 25%. Save $10 on the Orlando Explorer Pass and visit The Orlando Eye, WonderWorks, Gatorland and Boggy Creek Airboats Scenic Nature Tour.